I think my default is to add dark chocolate to everything I bake. My default hair do is curled out at the tips (I’d like to think I look like Farrah Fawcett… but that’s just not true). My default outfit is jeans with a stripe shirt and boots or sandals (depending on the weather). My default drink is a Sidecar (or Mojito). My default evening activity is reading young adult fantasy novels, or science fiction if I’m fresh out of fantasy. I guess my point is, I’m naturally really cool. Obviously. Also, no I will not stop using my new flours. You can’t make me. It’s my blog. So there. These muffins feature: amaranth flour. I made flat bread and it was awesome, so I decided to make muffins this morning. They were pretty fab-but I will say that I should have mixed the raspberries and chocolate into the batter instead of placing it on top before baking. So you be better than me-and mix it in. My thought was the berries and chocolate would sink to the bottom before the batter baked. But this didn’t happen, I guess the batter was more substantial than I would have guessed. I’m not a food scientist, I learn most of my baking tips from trial and error. Needed: 1/2 cup amaranth flour, 3/4 cup all-purpose flour, 1 1/4 cup oats, 1/2 cup sugar, 1 teaspoon baking powder, 1/2 teaspoon baking soda, 1/4 teaspoon salt, 1/2 cup oil (I used vegetable), 1 egg, 1/2 teaspoon vanilla extract, 1/2 cup buttermilk, 1 to 1 1/2 cup mix-ins of your choice (I added some raspberries and dark chocolate chips). In a bowl combine the flours, oats, sugar, baking powder, baking soda, and salt. Stir in the oil, egg and vanilla. Stir in the buttermilk. Stir in the mix-in ingredients of your choice. Spoon batter into a lined muffin pan, 2/3 full. Bake at 375 F for 16-18 minutes. Enjoy in the morning with coffee or milk. That’s just part of the directions… so sorry if you don’t like coffee or milk. That’s just how it is. Hi Emma. It made me ecstatically happy to know that your favorite drink is a Sidecar. Mine too! Let’s be friends. They look delicious! And dark chocolate goes with everything! Oh my, this box seems like a little treasure to my eyes! So many flours, so many baking possibilities! 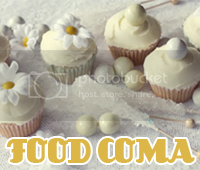 When you are feeling sick of eating all the time strange-flour-baked-things gift them! To your sister and friends, in order to have the strength to continue this flour-project! Oh yum! They look delicious! please do a spelt flour recipe soon! my mom gave me some and I need some ideas how to use it. Emma, your choice of evening activity is my choice of evening activity! I’m working my way through the Uglies series by Scott Westerfield. Those muffins look delicious!! Have a fabulous Easter weekend! I like your style. I love baking! Dough is probably one of the most fun things ever. young adult fantasy that will make you feel older/younger/better/wiser/fuller/more in love/etc,etc,etc : finnikin of the rock & froi of the exiles by melina marchetta with a third ‘quintana of charyn’ due out next year. all of her books are amazing and heart smashing but on the fantasy tip i highly recommend these if you haven’t already read them. xo. Yum! Never tried amaranth in a muffin…gonna definitely try those! and you can never add enough dark chocolate, ever. these look absolutley delicious! hope to give this recipe a try soon. Raspberries and dark chocolate chips= perfection! These look seriously yummy. We have the same default outfit! But my never curls out at the tips. Darn it. Gorgeous muffins. You keep adding that dark chocolate, k? Nothin wrong with that! These look really yummy! And here’s another recipe to try out Thanks for inspiration. that box of flours is very “Stranger Than Fiction”. I love it!!! And I love all of your fun recipes. Keep up the bread making!!! And you just go ahead and work your new flours guuurllll, we’re (wishing we could) eat it right up! I love to bake as well but we do not carry this flour here actually we do not get a lot of stuff just the normal things I miss home wah.. If you coat your berries with a little bit of flour before you mix them in they won’t sink to the bottom! Those look amazing, I too am guilty of putting dark chocolate into everything I can think of. If you lightly coat the raspberries and chocolate chips in flour before mixing them gently into the batter it will keep them from sinking. This trick is great for all baked products. 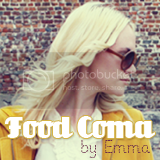 I adore the way you write, and Food Coma is such a refreshing blog to read! Emma I wondered why you didn’t choose white chocolate buttons vs dark chocolate (they look amazing and I’ll be sure to try this recipe). Congratulations, your photographs are amazing. i saw this, thought of you, and consequently had to come & post it here. I have tried (and blogged http://mondomulia.com/2012/04/30/raspberry-and-dark-chocolate-chip-muffins/) this recipe, though with plain flour instead of Amaranth! The result was great!! Thanks a lot for sharing! 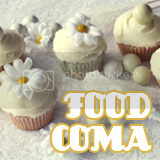 Big love to Food Coma on my blog today!